Water is blue, and so are a lot of things that live in it...show us your example! Reminder: The photo must be yours, but the photographed subject doesn't need to be. Deadline for entries: January 31st. Deadline for voting: February 7th. The first photo entry of the year is my first photo entry ever! 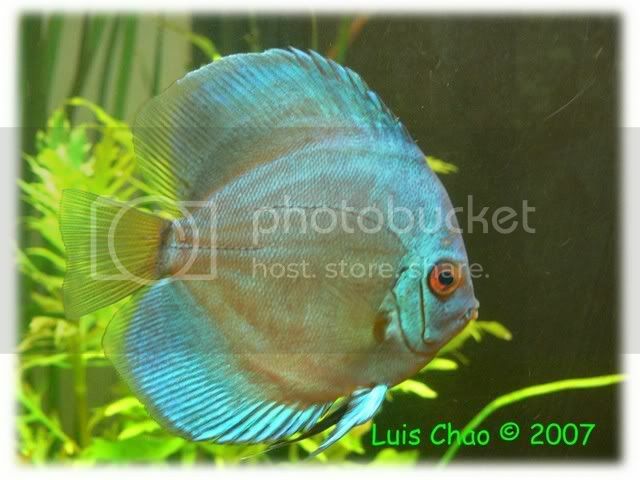 This fellow was in a lot of blue and a greenish, greyish blue himself, he (or she?) also "appeared" to be in quite a "blue" mood. 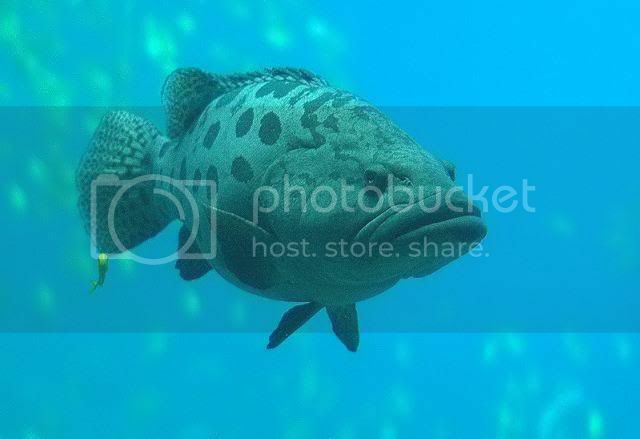 The specks in the background and the lonesome fish next to him are Golden Trevally, and I think the blue fellow is a giant grouper, but I'm not sure. 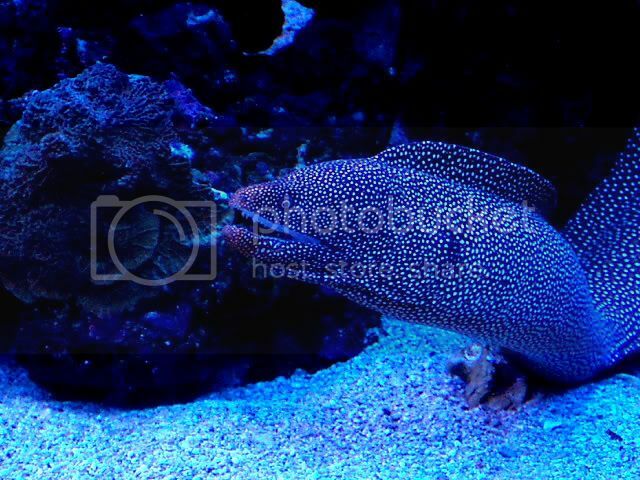 This moray doesn't look too happy. Then again, I would probably be pretty mad if a guy with a camera woke me up from a good sleep in my cave. 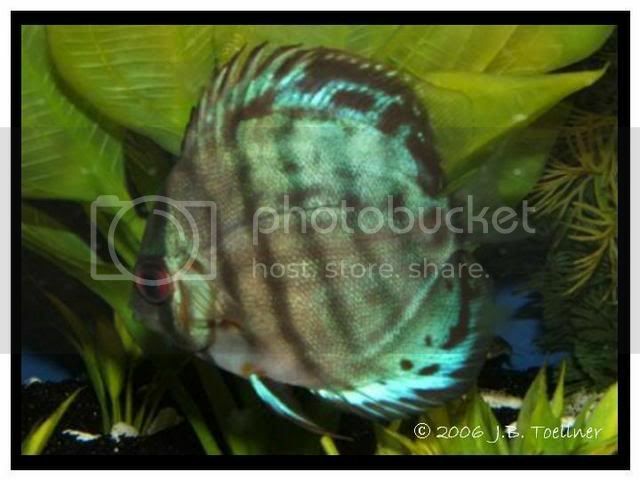 Here is a pic of my Turquoise Discus. Unfortunately he's not with me anymore. Don't cry because your Sun is gone. Your tears won't let you see the beauty of the stars. Here is a picture from my recent trip to the New England Aquarium.